This is a wonderful sweatshirt knit with 20% widthwise stretch, with a rayon knit on one side and a poly/cotton super soft fleece on the other. The knit side is black, and the fleece is a winter white. 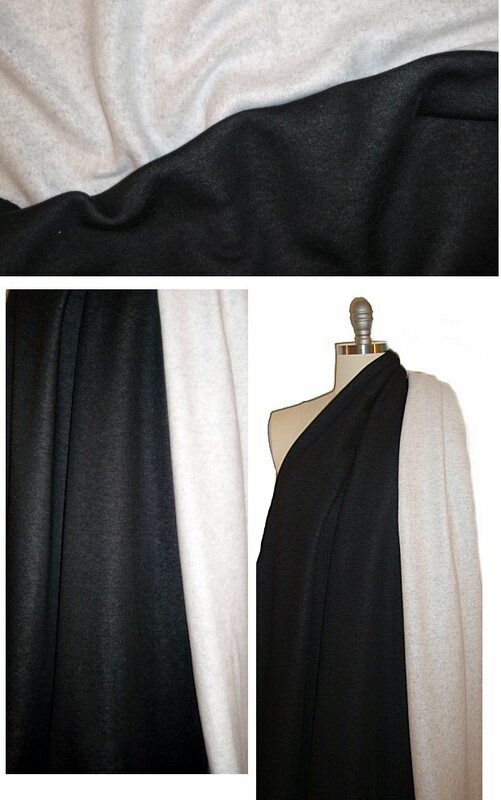 A casual gem with a lovely drape and softness, this is a medium weight two-layer knit that is perfect for hoodies, casual jackets, cardigans, and other top and bottom coordinates. Manufacturer recommends hand wash, hang to dry, so please test first if you wish to try machine wash and dry.